The Regional Plan Association will shortly release its long-range vision for the 31 metropolitan counties of New York, New Jersey, and Connecticut--the Fourth Plan. Developed with the input of many stakeholders, this regional plan will propose goals, investments and policies that will shape how and where the metroregion develops over the next quarter-century. RPA's blueprint reflects an ambitious vision for affordability, equity, health, resiliency, ecology and livability. Regional Plan Association Announcement. To augment its planning effort, RPA organized a design competition, and selected 4 teams to develop design projects that embody the Fourth Plan recommendations. Each team advocated for one of 4 territories in the metroregion. 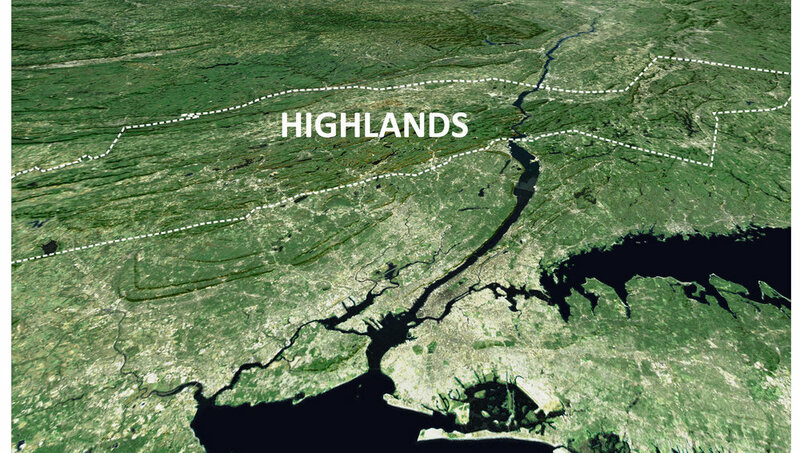 With our colleagues at PORT URBANISM, we were awarded the Highlands Corridor. RPA's design competition extends the work Range designers did in the Producing Region studio in 2014. 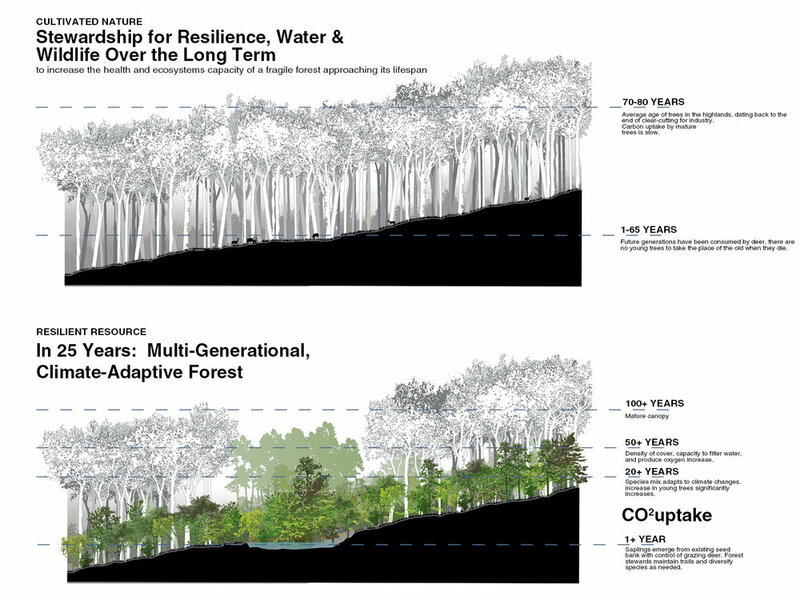 We propose an approach that connects and intertwines conservation and development, rather than seeing the two as inevitably in conflict. By intensifying reliance on existing and new tools and institutions—transfer of development rights, conservation banks, and carbon markets, for example—the region can establish an exchange of resources that allows cities downstream to secure ecosystem services and flood storage upstream where they can be produced more efficiently and at scale. Multi-purpose landscape infrastructural ways built and maintained with this money will dramatically increase environmental capacity. The team proposes to accommodate future populations by concentrating them in established towns and new centers on low-ecological value land near transportation routes and job centers. This new settlement will utilize hybrid development models with strong relationships to the landscapes that attract people to the Highlands.